Some things can't be described in words you can only observe the beauty after you get there. 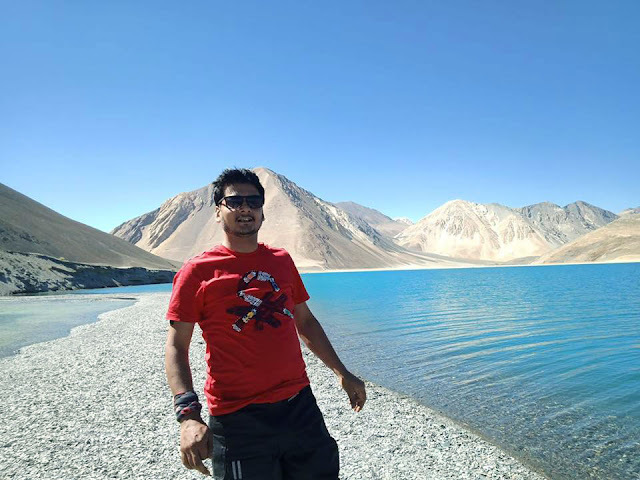 Leh and Ladakh in Jammu and Kashmir region have some mesmerizing beauty with some amazing lakes and picturesque scenery. However, this is my first story and I will try to write down my experience of solo traveling. My only companion was my bike. I just make an itinerary and left home to get an amazing and adventurous experience I had ever dream of. 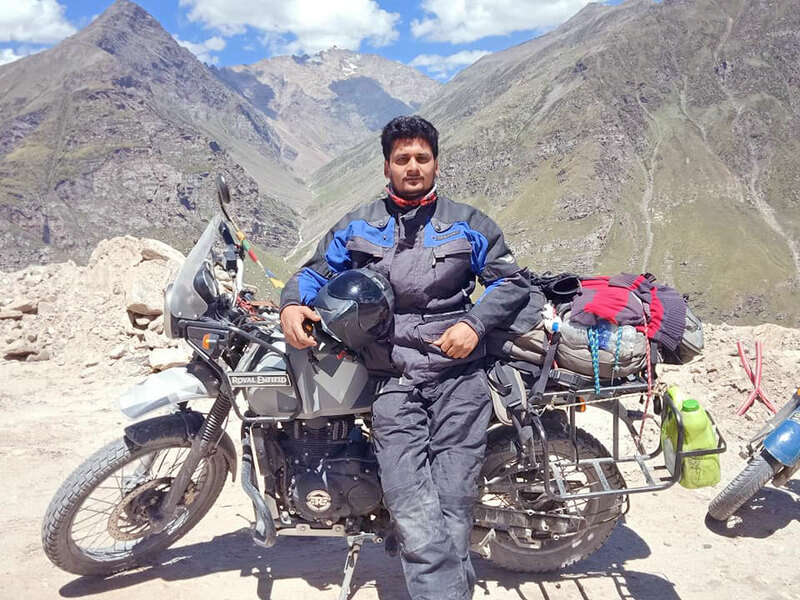 The moment I entered the hilly area of Himalaya range in Jammu and Kashmir, I was pretty much sure this is heading to be my most memorable experience, and I stay of 10 days but in 10 days I left all the worries and anxiety back and live my life the way I always wanted. I was speechless when I first saw the place Leh is definitely a worth place to explore once in a lifetime. It took me some time to get used to the geographical conditions of the place as this place is at around 3000 m high from sea level and some tourists complain about a problem in breathing this is due to the fact that at such height the level of oxygen in Atmosphere is low. After two to three days of adjusting myself in the rough environmental condition, I finally got the actual time to explore Lef region. Pangong Tso lake also known as the Azure Lake. Sunset at this place creates a spellbinding time you can enjoy while having a small campfire and sipping some hot coffee. 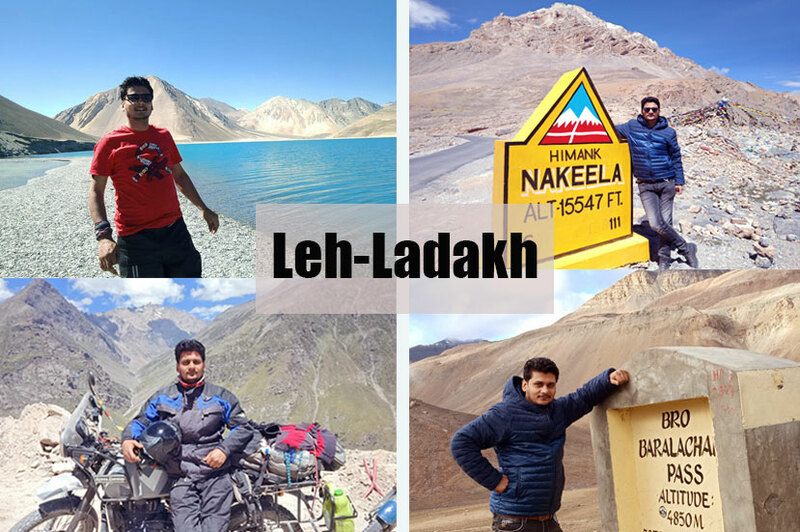 Leh and Ladakh are counted as one of the best places for hiking and trekking making it a popular destination among hikers. I decided to give my bike a rest and start my trekking in Bara-lacha la and this place has a gorgeous emerald green color lake named as Suraj tal which means Sun lake. 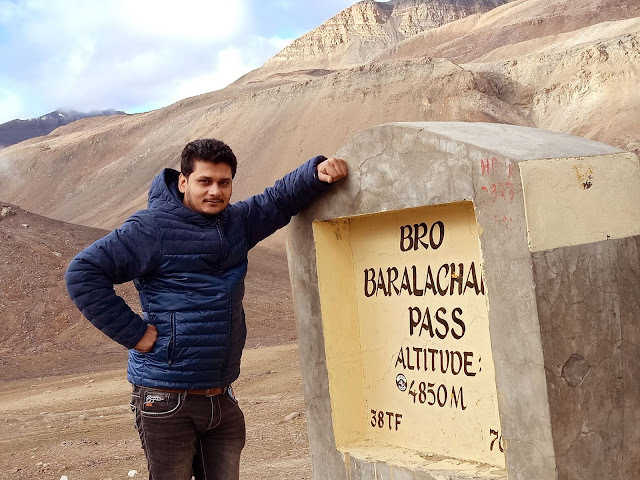 Bara-lacha la, Zoji La, and Taglang La are easy to tough trekking place according to my personal experience but all offered some magnificent and stunning landscapes with panoramic views. I was happy to get some help with clicking my pictures, locals are really nice and friendly people. After these small trekking, it was time for some challenging activities to test my own endurance. Chadar Frozen River trek was amazing. This place is more than 6000 meters high and it was not really easy to reach to the top. So I was, making my way although in very slow speed but it was constant, stopping occasionally. 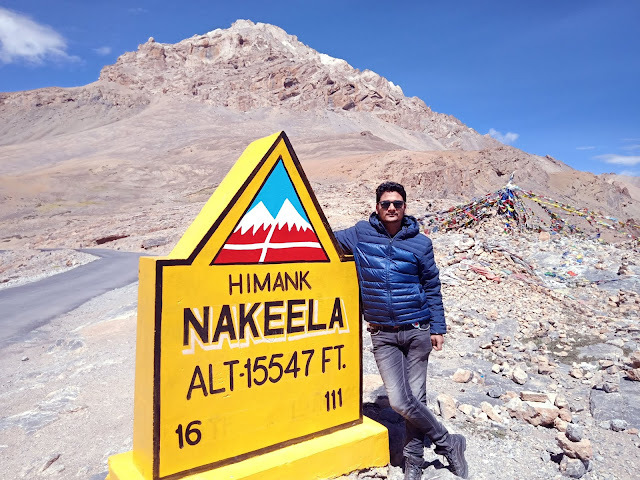 I listen to each and every single detail given by my instructor and slow and steady, finally, I made it I reached to the top of Nakeela at 15547 feet high and I can see entire region from the summit. you just can feel that experience can't explain in words. It is truly a nirvana. Had some tea and Maggie at the top of the trek and believe me that was the best tea I ever tasted. People say hiking and trekking in Leh and Ladakh is an experience you should feel once in a lifetime. 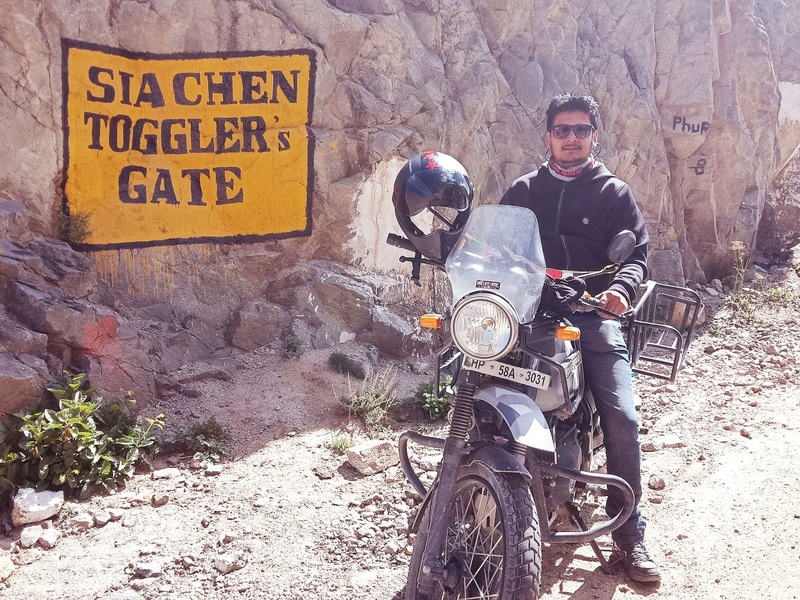 Ladakh hiking trails bring you via tough lands and breathtaking pastures, and shepherds shepherding their sheep are some of the main highlights of the place. Siachen is the world's highest battleground locate in Karakorum range. It feel amazing to ride a bike on such height. On the last day, I tried some paragliding and have some local food and it was out of the world. If you are planning your trip to Leh and Ladakh then Make sure you taste their local food and have some herbal tea. 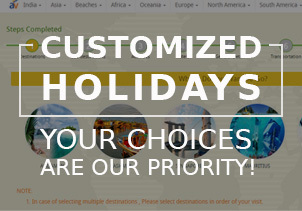 My trip was organized by Antilog Vacations and they really took care of all my needs and requirements. In my personal experience, this is the best northern remote place in entire north India.